Ziltron Expands Program "Down Under"
Ziltron enters year four of its partnership with The University of Sydney and BreastScreen NSW on its pioneering web-based national programme BREAST (BreastScreen Reader Assessment Strategy) with recent expansion to radiologists in New Zealand. The programme monitors the performance of radiologists in detecting and diagnosing abnormalities in breast x-rays. It also improves the standards of early detection through screening which in turn reduces breast cancer mortality and morbidity. Dr John Ryan, CEO of Ziltron stated “by implementing our system as a Breast-Screening quality and performance tool, Australia is proving to be an innovative and progressive nation in this field. We are delighted to be partnering on such an important project with the University of Sydney and BreastScreen NSW under the leadership of Professor Dr. Patrick Brennan”. The Ziltron web-based system with its unique embedded algorithm, allows for the provision of real-time and instant diagnosis and feedback to participating radiologists. It also enables the development of national performance standards based on confidential data collection. 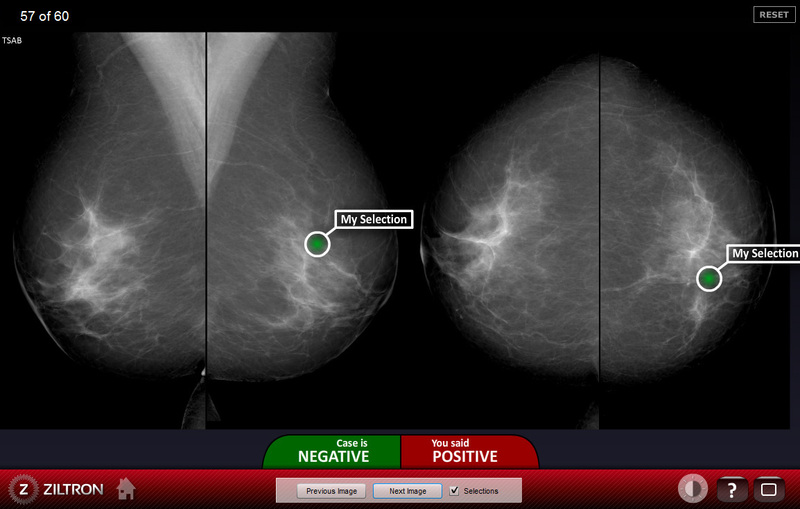 BREAST is a world-first web-based quality assurance programme of digital screen reading test sets designed to assess the performance of the user in correctly identifying abnormalities on mammograms and in interpreting whether or not the lesions identified pose a risk of breast cancer. “This will allow us to determine the level of variation across BreastScreen Australia, set reference levels for good performance and encourage targeted quality improvement programs to manage under performance,” said Warwick Lee, State Radiologist for BreastScreen NSW, Adjunct Associate Professor at the University of Sydney and Co-Director of BREAST. “The data collection also presents immense opportunities for further research into the types of lesions that are creating difficulties for readers, either through under-diagnosis or over-diagnosis, and has huge potential for improving standards in the future. This is now being made possible through our Technology partnership with Dr. John Ryan and Ziltron,” commented Prof Brennan. The heatmap shows the selections of 140 radiologists. The green marker is where the true lesion location lies.